Sheffield-based Clico Tooling are passionate about tools and tooling and strive to bring us a wide variety of traditional hand planes and drill bits which still have a place in the modern world. The six examples featured here are typically useful in the cabinet or joinery shop. This type is intended for use in a drill press or on the lathe although it is possible to use smaller sizes freehand as it has a small centre point. Clico supply them in two shank sizes, 1/2in for cutters up to 3in diameter and 5/8in for cutters over 3in diameter, with a range of cut sizes from a teeny 5/16in diameter up to a massive 4in-diameter beast. It is also available in metric with cut diameters running from 8mm up to 75mm all on a 13mm shank. They give very clean-cut holes either with or across the grain and do not require excessive power to drive them. Chip clearance is very good and they are easily sharpened. A carefully selected handful of sizes would be a real boon in the workshop. Providing a different approach to hole making, the Forstner has a small centre point, crosswise cutting edges and, crucially, is guided by the rim which is a smooth cutting edge with a single-toothed step at each side. Again, there are imperial and metric ranges running from 5/16-2in on a 1/2in shank and approx 6in long and 8-50mm on a 13mm shank by approximately 125mm long. 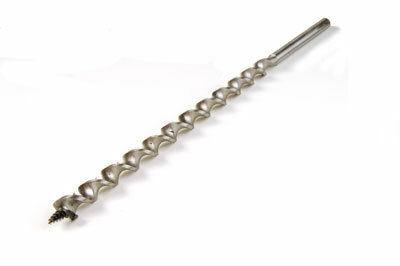 It can bore any arc of a circle and the cut direction is unaffected by knots or grain direction; indeed, it is possible to drill overlapping holes and the holes produced are clean and flat-bottomed. 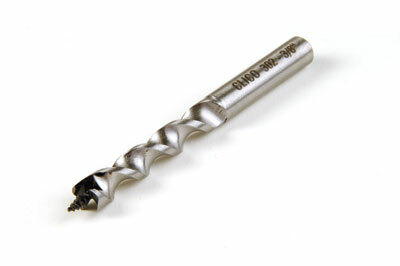 An ideal drill where very fine work or delicate work, or an exceptionally clean finish is required. 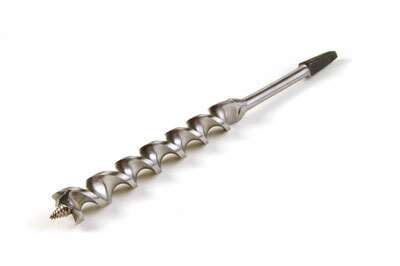 This superior pattern of twist drill is matched to Clico's series of countersinks and counterbores but they work well on their own. 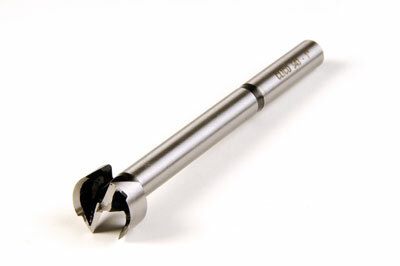 Very finely machined and with a bright finish, they have a slightly steeper than usual tip angle. They come in a variety of sizes from 1/8-1/2in diameter with a 6in overall length, while all those up to 9/32in can also be had in a more convenient 4 1/2in length. 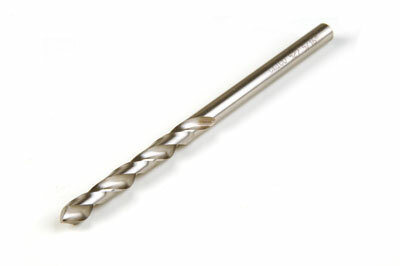 These are excellent for precision drilling work. These are available in 3/8in diameter and 10mm sizes for dowel work, hence their relatively short length. There are no depth collars available so you will need some other means of checking the hole depth. They have a screw nose to draw them into the workpiece so care is needed to stop at the correct depth. This is the traditional boring bit of yore, the type our grandfathers always kept in their toolbox along with a brace to drive them. Indeed I still have these at home, but, as the Clico catalogue points out, the demand is dropping and they only manufacture if there are sufficient orders to make it viable. 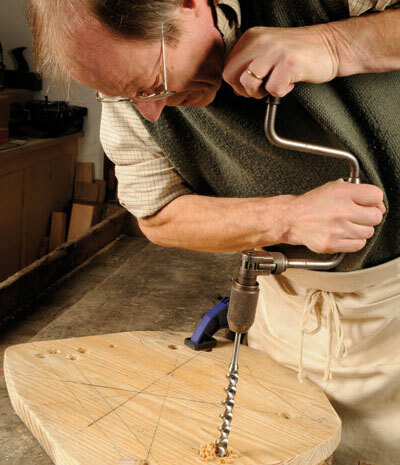 This type has leading 'spurs' to form the cut circle after the screw nose has dragged the bit into the wood. They come with a four-face tapered shank to fit the chuck of a hand brace. These come in a substantial range of diameters running from 1/4in up to 2in with 'twist' lengths varying from 150mm right up to 700mm. These bits differ from the typical Jennings-pattern bit which has leading 'spurs' to cut into the wood. Although the Scotch-nose has a screw point it features two level cutting edges without spurs. These bits are intended for portable electric and pneumatic drills and can be supplied with Morse taper, hexagonal or three flats on the shank depending on your requirements. For the Windsor chairmaker these long bits are crucial for sighting down when boring angled holes for legs and the like. I have previously visited the Clico Works in Sheffield and seen their working methods and their desire to keep producing hand tools to a high standard as well as their aerospace products. 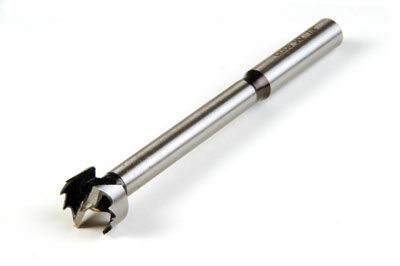 These woodboring bits live up to that aim and are high-quality items that cut very efficiently and fast. Prices vary tremendously depending on type and size but by picking the most useful ones to add to your kit you will be making a sensible long-term investment that will pay for itself sooner rather than later. These tools deserve looking after. It is good to have a British manufacturer still flying the flag in our traditional Sheffield-based toolmaking industry. "High-quality items that cut very efficiently and fast"